Let's Play Paper Doll Dress Up! 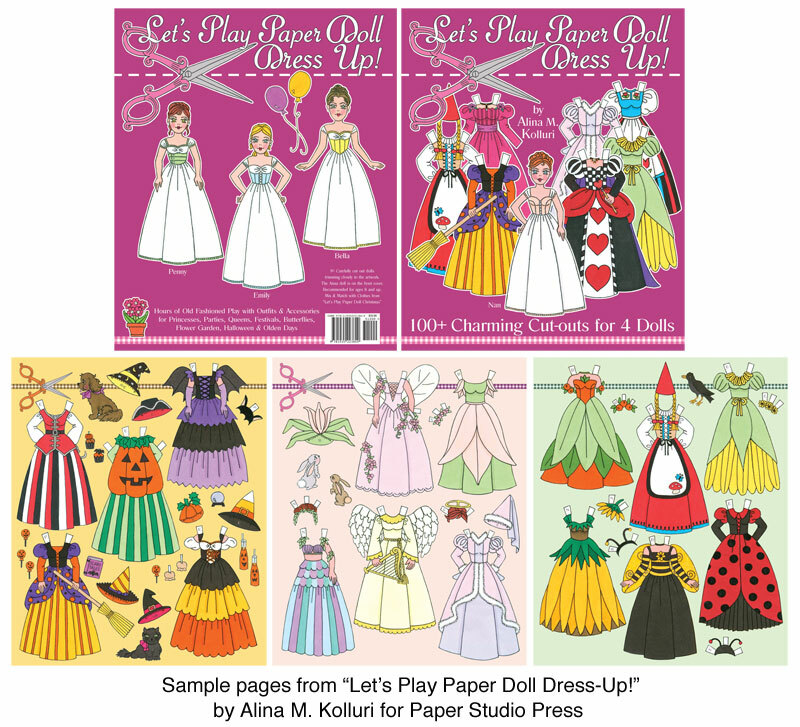 Playing paper dolls is a fun pastime, and so is dressing up in fun costumes! 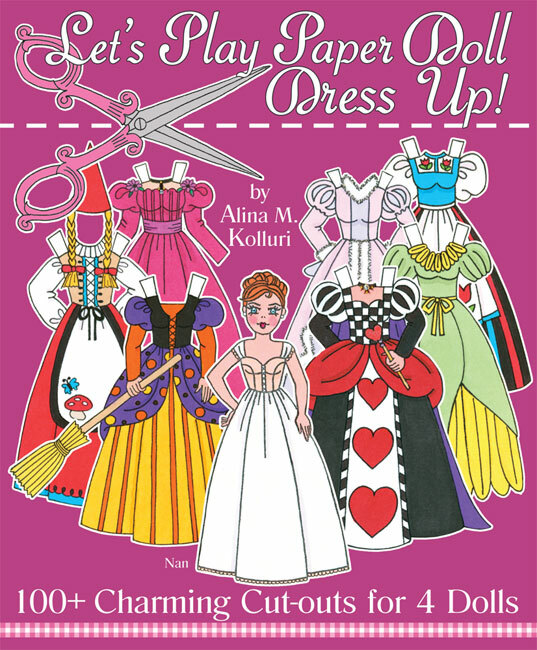 In this delightful paper doll book, there are four darling dolls to dress up in outfits for princesses, parties, queens, festivals, butterflies, flowers, Halloween, Thanksgiving and olden days. Included are fashion accessories, adorable animals, fun furnishings and props for hours of old fashioned play. There are more than 100 cut-outs in all! The dolls, Nan, Penny, Emily and Bella can wear outfits from Let’s Play Paper Doll Christmas, another adorable edition by Alina M. Kolluri.